Hallo! I am back in the US after two exhausting and exhilarating weeks in Malawi. 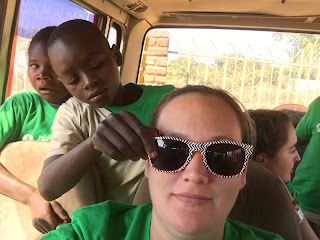 This trip was so special to me, particularly since this was the second time going back and working with the same NGO and the same group of families. I can say for certain that even though this trip looked similar from the outside it felt very different on the inside, and I know that God is calling me to be more involved in Malawi, particularly in support of the work that Children of the Nations (COTN) is doing there. Upon arrival we immediately went to one of the COTN feeding programs where the children sang songs and recited Bible verses to welcome us to the warm heart of Africa. Many of our group got invited to dance and one thing is for certain in Malawi: if you’re invited to dance – you dance! Each morning before our activities started we had devotional time with our team, the other teams that were there, and the Malawian translators and staff. After devotions and before breakfast we would introduce ourselves to each other. Imagine saying “Mwadzuka bwanji?” and replying “Ndadzuka bwino. Kaya inu?” to no less than 25 other people each morning… I got proficient at my greetings pretty quickly! The first full day we were there we participated in cultural immersion. During cultural immersion, we shopped at a market for the items needed to prepare a meal for a family (all shopping conducted in Chichewa of course), and then went to the home of a family registered with COTN in Mgwayi Village and helped prepare the meal. The family I spent time with had 11 children, ranging from adult to less than two years old. The baby was so small that she was scared of us azungus (white people). We tried hard to get her to like us, but she just hadn’t seen enough azungus in her lifetime to be comfortable. The father was the village chief and while they certainly had status in Mgwayi the last time they had eaten a chicken was months ago. 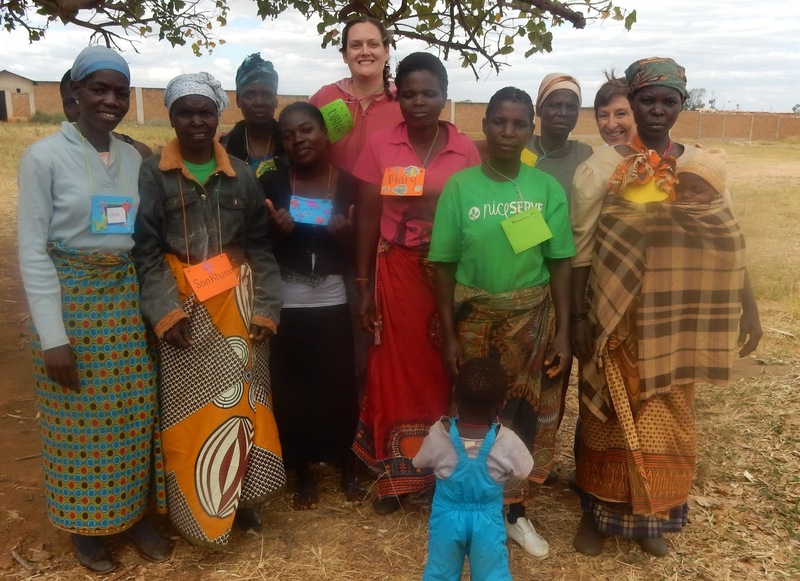 We spent a large part of our time sitting on their mat introducing ourselves and getting to know each other, one aspect of Malawian culture we can all learn a lot from. On Sunday we visited a Pentecostal church and COTN’s Chitipi children’s home. The main catchphrases we went home with after spending a good three hours at the Pentecostal church was “Hallo!” “Hallelujah!” and “We are kings!” The pastor shared a very encouraging message to remind us that we are all kings, not to allow people to treat you as less, and to not treat yourself as less. If that’s how God sees us, that’s how we should see ourselves. Chitipi Children’s Home houses around 30 children and 20 young women (which the little kids call their aunties). The children come to them either as orphans or from incredibly desperate situations. At the home they have everything they need, a house mom and dad, and many wonderful aunties to care for them. Most of the young women head off to college after successfully finishing high school and lead wonderful lives thanks to the home they found at Chitipi. They even have their own farm, raise their own animals, and have a school on the property. We spent the next day visiting some villages where the Africa Windmill Project helps empower farmers. To read more about AWP, visit http://africawindmill.org. We also visited one of COTN’s widow’s programs, which teach the women sustainable skills to be able to provide a living for their families. 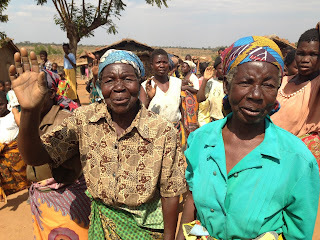 It is not uncommon in Malawi for the deceased husband’s family to show up and take all of their belongings, leaving the widow and children with nothing. We had the opportunity to see and purchase some of the very neat items they handcraft: coin purses, bags, headbands, and jewelry. 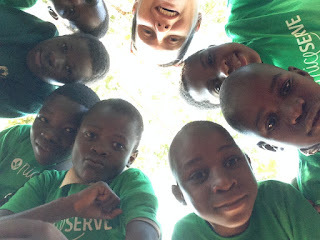 On Tuesday, the real reason we went to Malawi started: our VBS camp. Our skits, stories, crafts, and Bible study time all revolved around stories about Jesus: that he was human, he was God, he performed miracles, he faced temptation, and his death and resurrection. 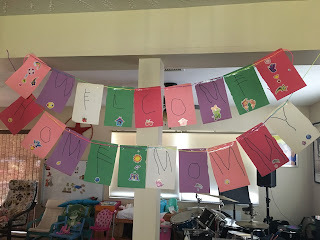 These stories aren’t new to the children with special needs and their caretakers at VBS, but what was new was that we added in a separate time for them to break out in groups and participate in age-appropriate Bible study. The group I have been most involved with is the caretaker group, which is about 30% grandmothers, 60% mother’s, and 10% other (aunties, etc.). We had a group of younger children, teenage girls, teenage boys, and two caretaker groups (one with caretakers from Mgwayi and Mtsiliza; one from Chirombo). The week Summit is there is the only time during the entire year that these children get treated as kings. While they may be invited into other special programs throughout the year, this is built around and for these specific kids. 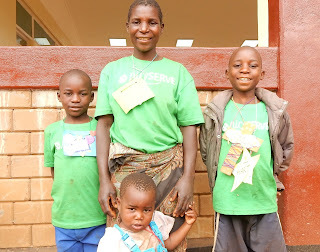 They are fed two snacks, drinks, and two meals each day, they get a million hugs from all of us, and they get to participate in something very fun while learning about Jesus. We host a fun afternoon out at a local play place, we go into a clinic to serve others (NiceServe), and even have a water day with them. All of our efforts are made in conjunction with COTN staff. We don’t just show up and work separately from the in-country staff. We put every effort into supporting what they are already doing with the children and families, much in alignment with the theories behind Helping Without Hurting. The week we spent getting to know these women and their children were pivotal for me. They look up to us yet ask nothing from us; they have only one yet they give us their chitenjes (wraps) to sit on so that we won’t get our skirts dirty; they share intimate stories with us yet they are just getting to know us; they have so little yet are grateful for everything. They encourage us daily yet depend on God fully to provide their next meal. They are thankful and appreciative of the time we have together, and they pray with unceasing fervor and reliance on God. We seem to have everything we need because our material and daily needs are easily taken care of in America, yet we lack so much connection to God and so much closeness to each other in comparison. I am so thankful to have been a part of the special needs VBS twice and I will definitely continue to be a part of this group when I travel to Malawi with Summit in the future. The children and families that COTN cares for are ones that really need it: they are unable to feed their children, unable to provide mosquito nets to protect against malaria, sometimes unable to clothe them. Take it one further step and imagine being put on the outside of your community because you have a child with special needs and there is that much of a greater need. There still exists a lot of stigma surrounding the mother and the family if a child is born with or develops a disability. Villagers may assume the child was conceived in adultery or the mother is a witch. Many of the caretakers shared how they had brought their child to the village witch doctor to try to cure them before finding healing in a church. We asked the caretakers what Bible characters or stories they would like to learn about next time and I can’t wait to be a part of a team in the future (next year??) and God willing many more times in the future. Quick brag about Nico: the first time I talked to her while in Africa, she said “I’m so glad that your team is safe in Africa.” She has such a giving spirit and I can’t wait to help shape her heart for others by taking her on mission trips when she gets older. On the second Sunday there we hosted a special lunch for the children who are sponsored by team members. I invited Hati (pronounced Harti), and decided to be his sponsor. His mother was in my caretaker group so I got to learn quite a bit about their family. She has 5 boys: Mikey, Hati, Billy, Land, and Fumbani. When Hati was young he sustained an accident to his legs. They took him to a hospital and the doctor told them to amputate his legs. His mother did not consent but instead took him to another hospital. The doctor there told them to take him home and care for him as best as they could. He walks with a limp, but does not wear braces on his legs. He is 11 years old, attends school, and likes to play soccer. He has the sweetest disposition and was my little buddy for many days. 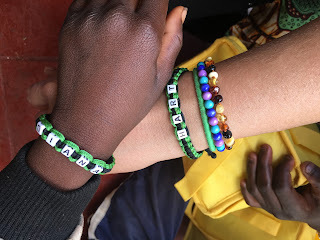 I had two bracelets made, one with my name and one with his name. I asked him if he would like me to be his sponsor and if he’d like a bracelet to remember me by. He chose to keep the one with my name on it (awwww) and now I wear the bracelet with his name on it to remember him. I would like to find another sponsor for Hati so that he is fully sponsored (each child can have two sponsors), and a sponsor for Linda. Linda is also 11 and from the time we first met we were special friends. She was born missing some fingers on one hand, and although that might not seem like much of a disability to those in America, anything that sets apart a child, especially at birth, places a huge stigma on them and the mother, which reduces their ability to acclimate and lead a normal life in their village. Our team ended up having 15 people on it, more than half of which fell ill at some point either in transit or during our stay there. The illnesses included gastrointestinal issues, ringworm, fevers, body aches, vomiting, colds, ear infection and burst ear drum, flu, and probably others! Only one needed to visit the local clinic though and started to get better after receiving a shot in lieu of an IV. I stayed completely healthy while there and even skirted the cold Jason and Nico had when I got home. Living together as part of a missions team is also very interesting. We get close quick and conversation goes deep. Some (not all) of the large “life” stories people shared with or experienced as part of this trip included me connecting with another woman (59) who also lost her father to suicide. It was been 15 years since he died and she had not yet fully processed his loss nor shared it with her daughter (17, and she has since shared it with her daughter). One woman shared that she was adopted, later gave up a daughter for adoption before having more children later, and had recently been contacted by the daughter she gave up. One young girl (18) who is heading off to college in the fall recently found her birth family and learned that she was the product of an unfortunate situation that happened while her birth mother was in college. Her father, also on the trip, opened up about a son he had adopted but then had to give up more than seven years ago due to some serious emotional disabilities and violent outbursts. During our time in Africa, the son (now almost 16) contacted him via Facebook, which was taken as a miracle, since this father’s heart truly aches for his son. I know this is not a quick update letter and I appreciate you taking the time to read it all. It is hard for me to abbreviate any part of this trip since it was all worth sharing. If you were able to support me on this trip, THANK YOU! Your support is not taken lightly and I am truly thankful that you were a part of this trip with me. I was able to bring home an assortment of goodies and will include one in your follow-up letter via USPS. To see more pictures, visit WadesPlusOne.com – because they won’t all fit here! Malawi really is the warm heart of Africa, and I think you’d quickly notice the same thing if you ever have the opportunity to travel there. Their hearts are fully of joy and their spirits are contagious. Here’s to future adventures and furthering the work of God’s kingdom in Malawi!